Harus-Marus is a satire with a mob of rats in search of food with two mice that even speak the human language. 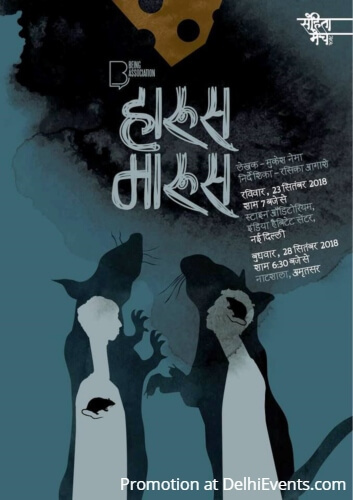 In a humorous satirical way, the play takes us into the realms of poverty where the poverty-stricken human being is compelled to choose the life of a rat. The widening inequality forces much of the population into hunger. Their misery is not only restricted to shortage of food but also aggravated by oppressive structures not letting them live free.